Children’s physicals function to monitor developmental progress, identify potential health complications and provide medical interventions and counseling that help prevent disease and injuries in the future. Also known as well-child exams, children’s physicals are endorsed by the American Academy of Pediatrics as an opportunity not only to oversee a child’s health and development but also for parents to discuss questions and concerns they may have about expectations for physical, emotional, academic and social development. 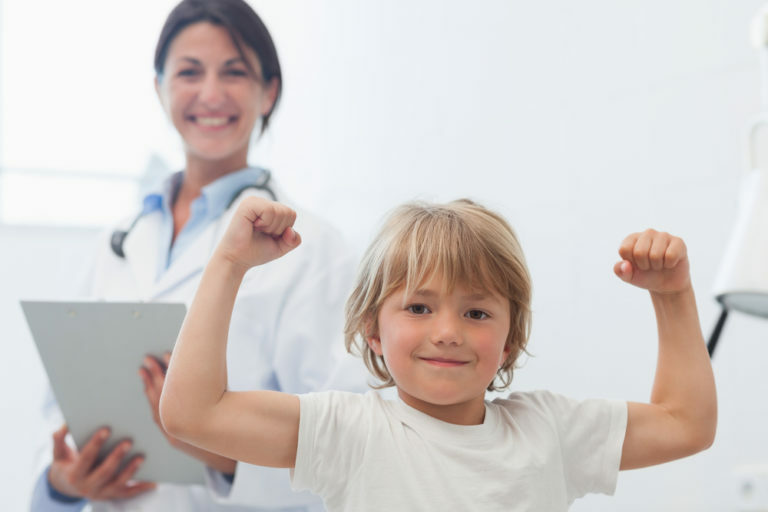 Parents work together with their children’s doctor to achieve optimal pediatric and adolescent health. that immunizations play an important role children’s physicals? It is during this time – when a child is visiting the doctor in good health, rather than sick – that vaccinations are administered to prevent dangerous diseases. The AAP’s vaccine schedule is updated frequently to reflect the latest recommendations, which include vaccines to protect against diseases like hepatitis, measles, influenza, and the chicken pox. Because children experience rapid physical development and also require the most vaccinations in the first few months of life, most kids will visit a doctor for a children’s physical approximately 10 times between birth and age 2. My child seems healthy. Do I really need to bring him to the doctor for a physical? Yes. Even if your child seems healthy, a doctor can identify possible underlying problems, such as high BMI or developmental delays. The American Academy of Pediatrics has very specific recommendations for children’s physicals. Kids visit every few months until age two, and then annually between ages 2 and 6. After age 6, well-child exams are every other year until age 10, when annual recommendation resume. What should I expect during my child’s physical? Your child will be measured and weighed, and the doctor will conduct various screenings to ensure your child’s health and development are on track for his or her age. You’ll have an opportunity to ask questions, and your son or daughter will receive immunizations based on the schedule recommended by the AAP. Will I need to follow any special instructions in caring for my child after our visit to the doctor? Possibly. If your child’s doctor finds any underlying health problems, you may be advised to take steps to manage your child’s diet, sleep, and activity levels. Depending on the results of the exam, your child may also require additional screenings, tests, procedures or medications.